"The BJP-led government messed up the Indian economy. The ill-considered demonetisation and hastily implemented GST have destroyed small scale enterprises," he said. Former Prime Minister Manmohan Singh today launched a scathing attack on the NDA government, accusing it of having "messed up" the economy and mismanaging the dispute in Jammu and Kashmir. At the 84th plenary session of the Congress, Singh described the government's demonetisation move as "ill-considered" and GST as "hastily implemented". "The government mismanaged the Jammu and Kashmir dispute like never before. The atmosphere in the state has been deteriorating day by day," he said. Singh also dismissed Prime Minister Narendra Modi's comment about farmers' incomes being doubled. "Modi said farmers' income will be doubled in six years. It is a 'jumla'-type (rhetorical) statement unlikely to be achieved," he said addressing the session. 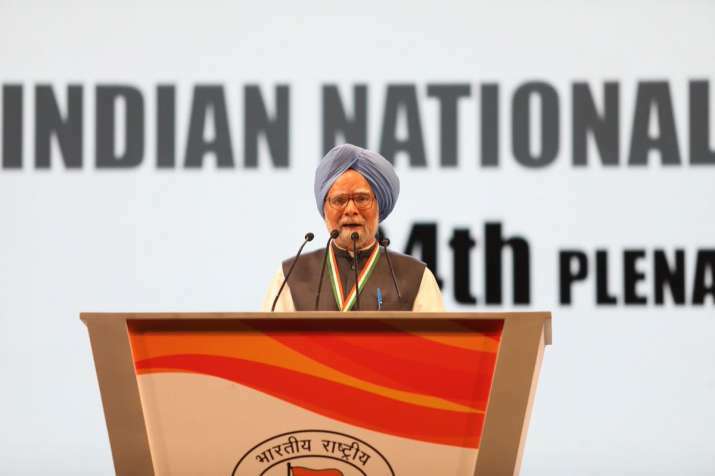 Asserting that the UPA government achieved a "lot" under then Congress president Sonia Gandhi's guidance, Singh exuded confidence that the plenary session would chalk out the future path for the country and the party would play a "historic" role.